Disney Parks Blog gave us a look at the cones that will be available at the Cozy Cone Motel in Carsland. Churro bites with cinnamon-chocolate sauce, regular or cinnamon-spiced hot cocoa, and Ramone’s Pear of Dice Soda (desert pear and mojito flavorings topped with Sprite). Soft-serve ice cream and “route” beer floats. Breakfast features the bacon scrambled egg cone and scrambled egg verde cone. 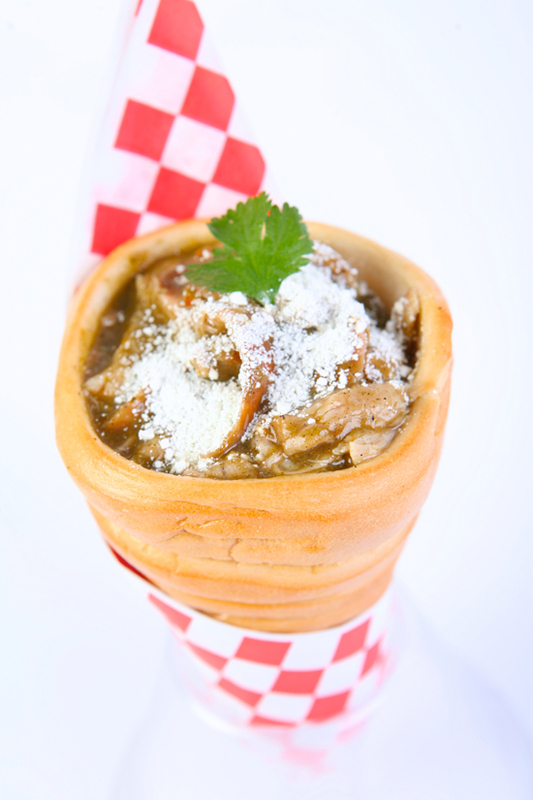 Lunch and dinner is chili “cone” queso and a chicken verde cone. Sip one of Filmore’s Fuelin’ Groovy Ades (all-natural lemonade with wild berry foam, or pomegranate limeade with lemon-lime foam). With two flavored popcorns daily, you might find salt and vinegar, pickle, bacon and cheddar, sweet and spicy or nacho cheese. Also serving Doc’s Wild Grape Tonic (Sprite with wild grape syrup and wild berry foam). These all sound great! I think cone 3 will be the first one I'll have to try. Which cone are you most excited to try starting June 15th?